Northern Ohio Rural Water was formed on December 12, 1988 as Erie Huron County Rural Water Authority under Chapter 6119 of the Ohio Revised Code in order to provide a safe, potable water supply to the residents of portions of Erie, Huron and Lorain Counties. Construction of the initial 210 mile water distribution system through seven different construction contracts began in April of 1990. In March 1991, during construction of these contracts, an eighth construction contract began to expand NORW's service area. Substantial completion of all eight construction contracts serving a total of 2700 customers was accomplished by fall 1991. 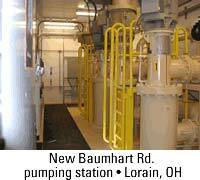 The finished water supply for NORW is provided through a water purchase contract with the City of Elyria, Ohio. 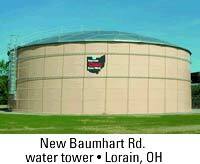 Northern Ohio Rural Water began water service to its customers in spring 1991. Since its initial construction, NORW has expanded into townships providing service along numerous county and township roadways. Steady growth has resulted in NORW presently providing service to approximately 9,615 service connections serving over 33,600 residents through a water distribution system consisting of approximately 800 miles of water mains, 10 pumping stations, 11 water storage tanks with a combined capacity of 4.65 million gallons of water, 9 main line pressure reducing stations, and 7 chlorine injection stations. Besides continuing its systematic expansion of service where feasible along county and township roadways, NORW has expanded into the Northwest corner of Erie County and into Sandusky County. The project involved over 20 miles of new water line construction to approximately 400 customers along the South shoreline area of Sandusky Bay. The distribution system includes a new elevated water storage tank and booster pump station. The finished water supply for this expansion is provided under a cooperative agreement with the Erie County Sanitary District. We had another Sandusky County project which involved over 36 miles of new water line construction in Green Creek, York, Sandusky and Riley Townships. In 2007, Northern Ohio Rural Water sold and installed over 800 new service connections. In Huron County there was one large project, which consisted of over 55 miles of new water lines to serve over 340 new service connections. In 2008, NORW contracted 72 miles of water lines in Huron & Seneca counties. In addition, a 400,000 gallon water tower was constructed in Reed Township. In 2009, a pump station was installed in the Village of Havana and we completed a Huron County project which involved water line connections to the Holiday Lakes Community in Willard.